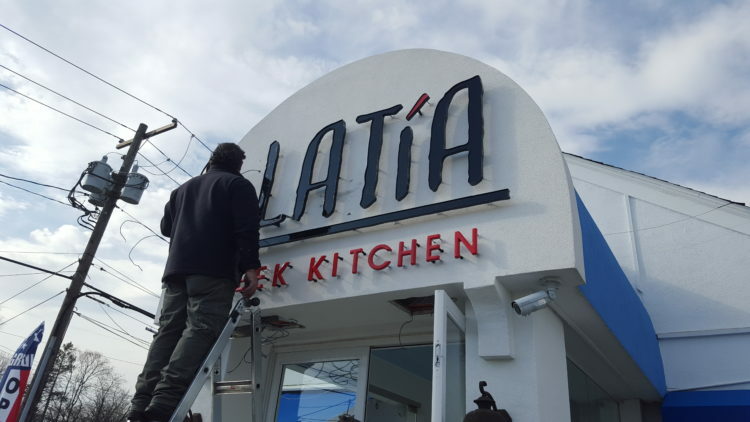 Platía Greek Kitchen Syosset, NY – StoneHouse Creative, Inc. Through several development meetings with the proprietors and the culinary staff the goal and intent of this new restaurant was clear: to create a fresh space reminiscent of Greece with an authentic approach to food, prepared well with the finest ingredients available. The owners have year’s of experience in the hospitality business and a very clear direction of the cuisine of the new restaurant. 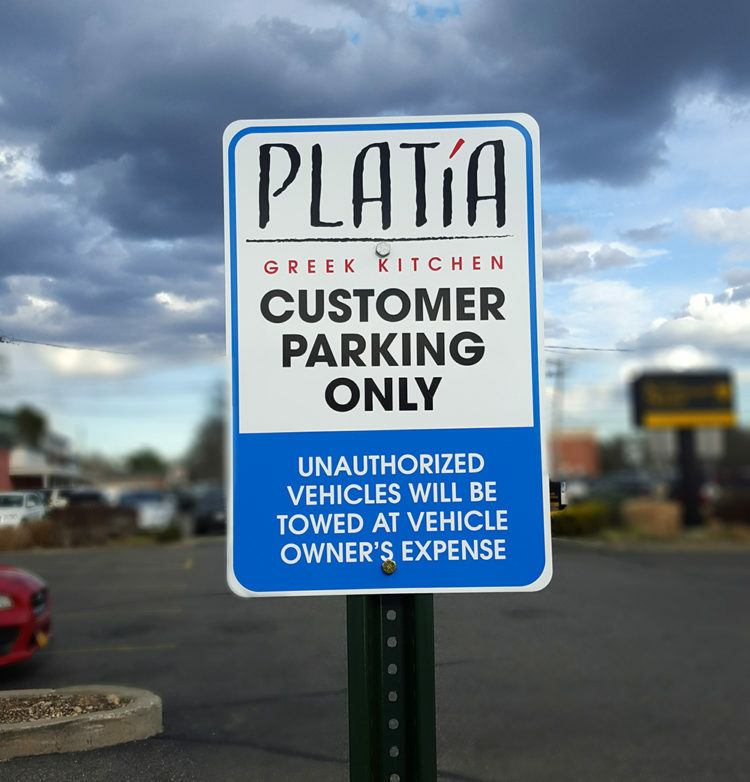 The restaurant name, Platía Greek Kitchen was selected to reflect the particular type of Greek restaurant they were looking to create. 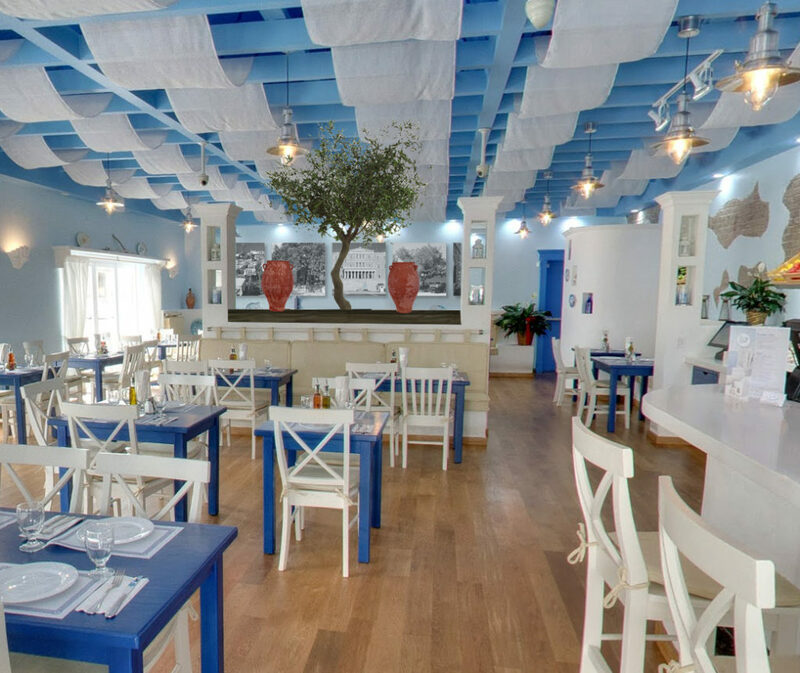 A casual taverna style that one would typically find in any area of Greece serving fresh caught fish. 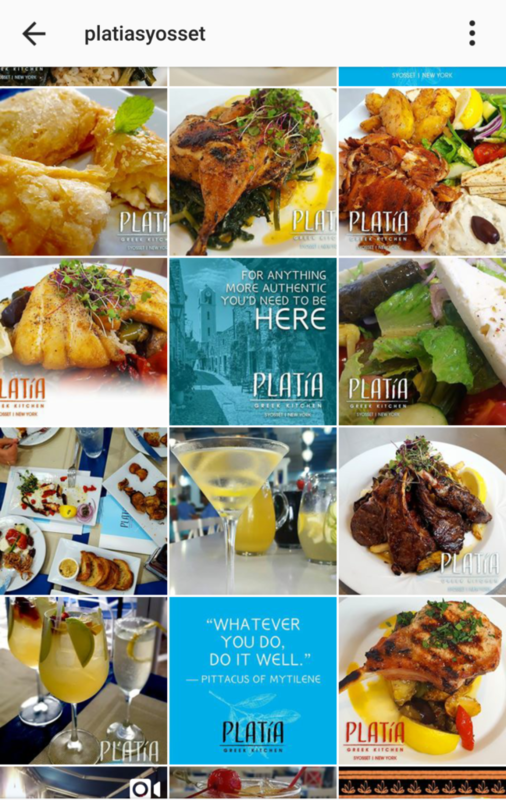 The word ‘platía’ is the phonetic spelling of the Greek word for town center. These town centers are found in every village, town and city in Greece and are the hub of activity and a meeting place for feasts. 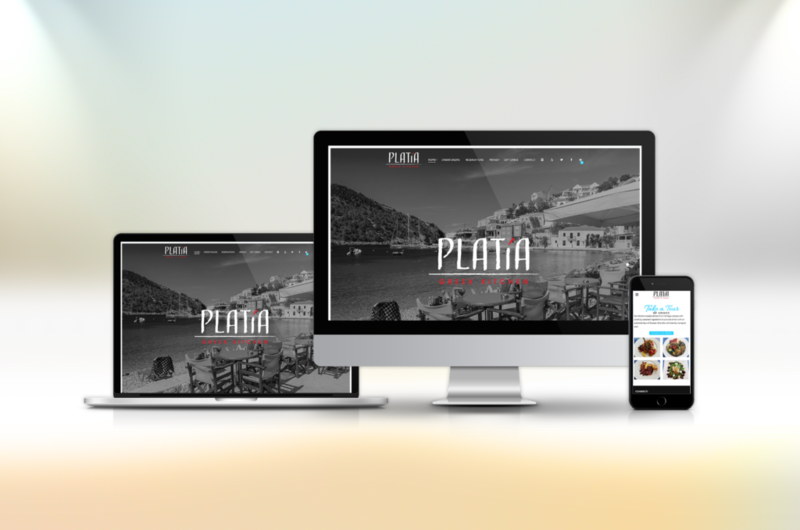 The term ‘kitchen’ is used to reference the simplicity in the preparation of the dishes served. 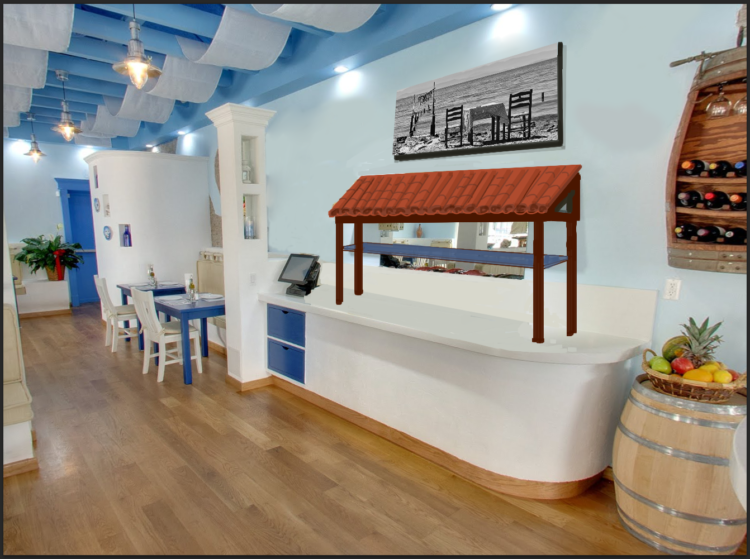 The brand’s passionate purpose, providing the experience of Greek food in a setting to evoke dining in a town center taverna, set the challenge of playing of authentic Greek motifs as a backdrop for the food. We needed to be careful that all of our decisions were not ones which were so foreign that the non-Greek patrons would not be able to relate. 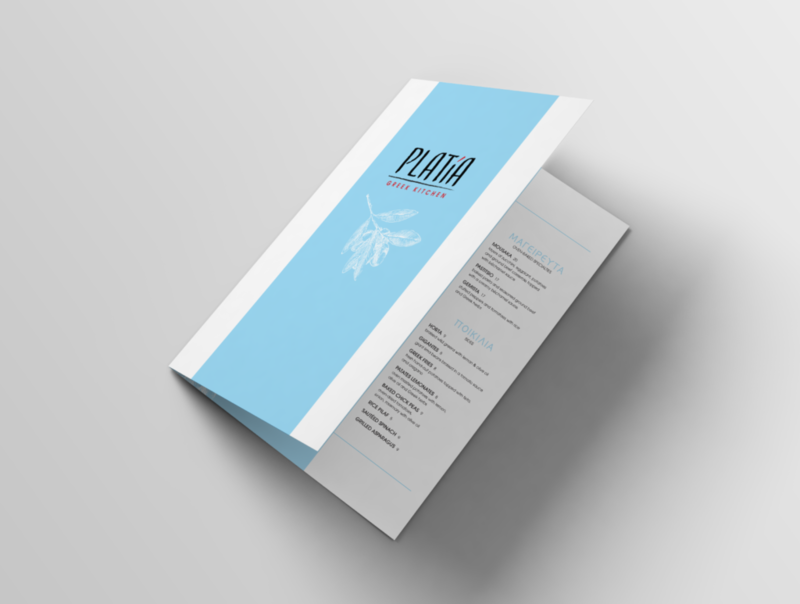 We avoided blue in our logo as there was an abundance in the interior of the restaurant. We opted for basic black and red as a nod to the grill and the accent was placed to aid the proper emphasis when pronouncing. Our menu plays off of the serene blue hues with touches of acanthus scrolls in a line art style. We peppered Greek words as the sections of the menu for an authentic flair and provided some explanation for dining in Greece. The interior space features an abundance of blue and white with traditional blue tavern tables and undulating sail cloth from the rafters. Rising in the center of the restaurant is an olive tree. Its leaves illuminated as though it sits in the late afternoon Greek sun. Some will assume it’s merely décor, others a clever room divider. It’s much more than that. 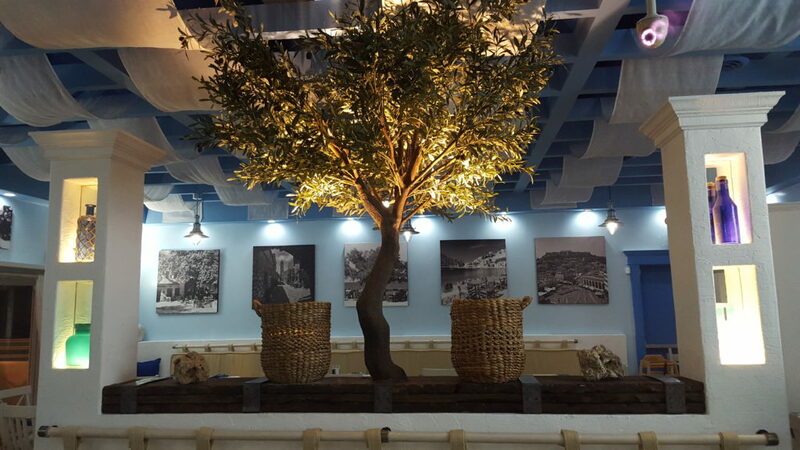 Rising from rustic boards, beneath peaceful branches laden with olives sit twin baskets ready for the harvest. 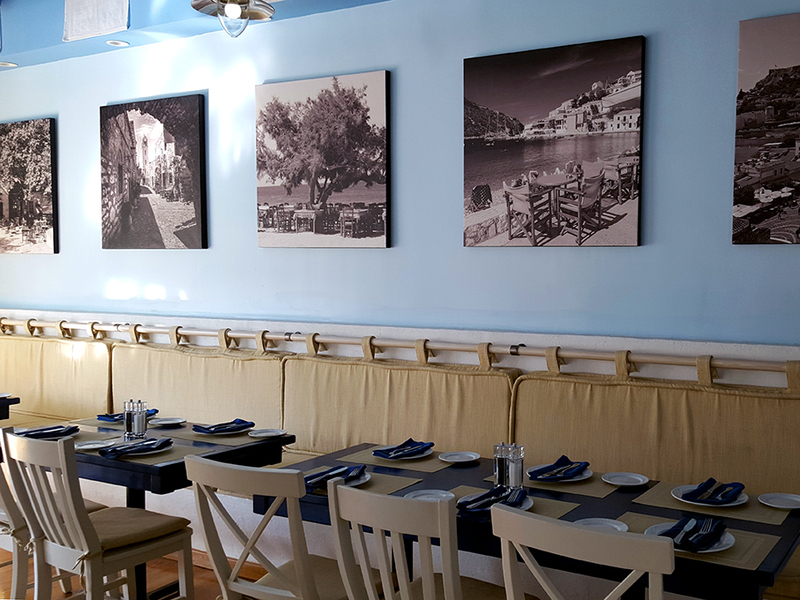 It’s a subtle nod to the most important ingredient and foundation of Greek cuisine: olive oil. The rustic boards are repeated just above the kitchen door, making the direct connection between ingredient & cuisine and existence & living. 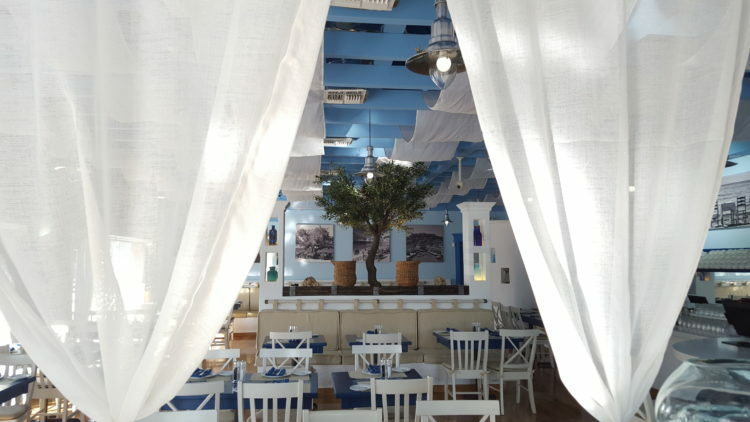 The tree stands as a symbol of life in every village and corner of Greece through the ages. 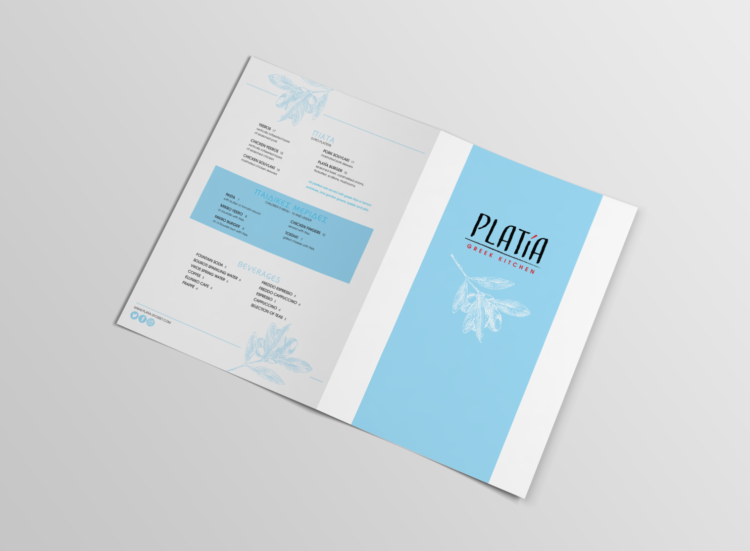 The tree stands as a reminder of the purpose at Platía in respectfully producing pure, authentic food with the finest ingredients.